AES operates 35,000 megawatts of power plants globally worth $37 billion. Only 200 megawatts of the portfolio is solar. 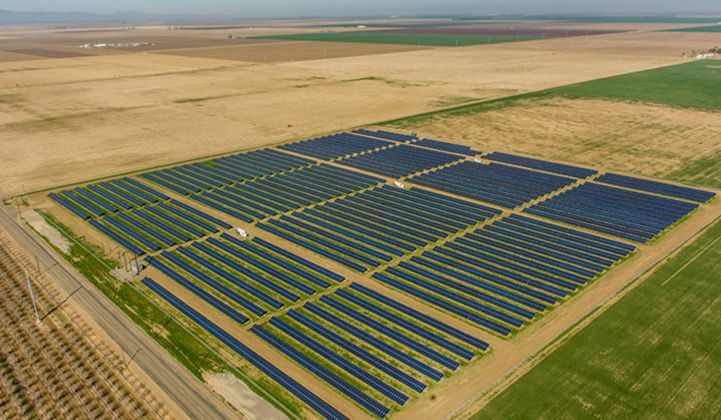 This morning, AES unveiled plans to acquire sPower, the 10th-largest solar developer in the U.S., for $853 million in cash. AES will buy sPower from the private equity firm Fir Tree Partners. Once completed, the acquisition will give AES an additional 1,274 megawatts of utility-scale solar power plants, a portfolio of 10,000 megawatts of projects in various stages, and a world class solar development team. AES will take on sPower's operations and a 50 percent equity stake in all projects. The Alberta Investment Management Corporation will take on the other 50 percent stake in projects. It's a decisive move into utility-scale solar for AES, which has dabbled in the market by acquiring a handful of individual projects. The independent power provider also acquired C&I developer Main Street Power in 2015, rebranding the company AES Distributed Energy. It has so far failed to become a strong player in the distributed solar market. AES now turns to utility-scale solar, a sector that grew 145 percent in 2016, according the latest tally from GTM Research. "We have talked a lot about solar in the last year," said Amy Ackerman, manager of AES investor relations. "As we expand gas, storage and renewables, we'd like to add solar to our existing platform." "Platformization" has become an increasingly common way to describe some of the big acquisitions in utility-scale and commercial solar. More conglomerates are eyeing gigawatt-scale portfolios as a way to become top developers and asset owners overnight, rather than acquire assets on a project-by-project basis. 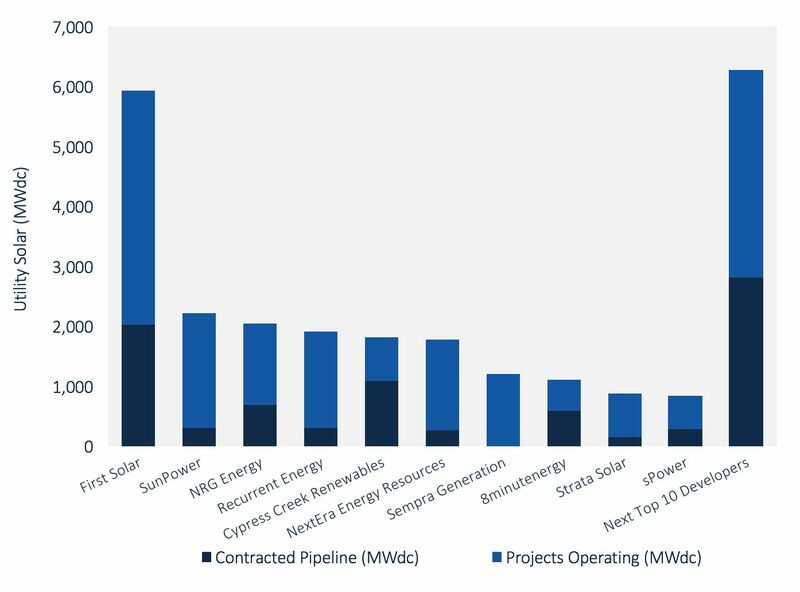 In just the last six months, JP Morgan acquired Sonnedix, Cypress Creek Renewables bought FLS Energy, NRG scooped up 1,500 megawatts of SunEdison projects, and Mitsui acquired SunEdison's commercial development team in order to create "a platform for providing a range of services" to C&I customers. AES' acquisition of sPower is the biggest since SunEdison bought First Wind for $2.4 billion. M&A activity may just be getting started in utility-scale development. After the rush to get projects completed in 2016 before tax credits expired, current project pipelines are depleted. GTM Research expects utility-scale projects to drop from 10.6 gigawatts in 2016 down to 8.7 gigawatts in 2017. Completed projects could fall to 6.3 gigawatts in 2018, before rising year-over-year through 2022. Buyers are looking for companies with a long queue of projects lined up over the next few years. "This acquisition is probably the first of a few to come," said Colin Smith, a solar analyst with GTM Research. "It's a seller's market. Everyone wants to refill the pipeline." AES now gets access to one of the steadiest pipelines in the U.S. market. "They will consistently bring in projects year over year with sPower," said Smith. AES is a Fortune 200 company that can command a lower cost of capital. With its new parent company, sPower becomes a much more serious contender when competing against the development arms of large corporate utility players like Southern Company and NextEra Energy Resources. And sPower isn't just a developer. The company holds onto its assets. With the acquisition, AES is signaling plans to maintain a large operating portfolio of utility-scale plants.